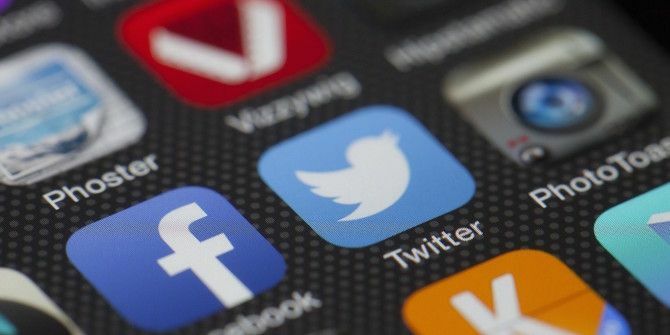 You may not realize it, but depending on how often you use Twitter on your phone, the official app could be hogging quite a bit of your phone’s storage. Fortunately, both Android How to Free Storage Space on Your Android Device How to Free Storage Space on Your Android Device If you've run out of storage space on your Android phone or tablet, we can help you free it up. Read More and iOS Free up Massive Space on Your Phone with 7 Photo Storage Services Free up Massive Space on Your Phone with 7 Photo Storage Services Thanks to smartphone photography and high-definition video phones run out of storage space very quickly. But there are popular cloud storage options and auto-upload features which can help us get some space back. Read More users can clear any cached data and use that storage space for something more useful. If you want to find out how much storage Twitter is using on your iPhone and free up that space, open up the official Twitter app and tap the Me tab. Tap the Settings button (gear icon) and go to Settings > Data Usage. Under storage, you can see both Media Storage and Web Storage, and at a glance, you can see how much space each of them are using. Tap Media Storage > Clear media storage to delete photos, GIFs, and Vines. Tap Web Storage > Clear web page storage to get rid of cached web pages or tap Clear all web storage to clear cached web pages, cookies, and logins. Under this setting, you can also turn off image previews, which will cut back on data usage when you’re on the go. If you use multiple accounts on your phone, you will need to repeat these steps for each of them. Android users can also get rid of Twitter files clogging up their phones by going to their Android phone’s Settings > Applications > Application Manager > Twitter > Storage. Here you can see how much data the app is using. Tap Clear cache to free up that space. If you tap Clear data, you will also delete any settings or accounts associated with the app so if you have certain settings such as night mode turned on, you will have to go back into your settings to get the app set up the way you had it before. You will also be prompted to select your location settings. Do you have any tips or tricks for stopping apps for taking up too much storage on your phone? Let us know in the comments. This is great. Cleared up a lot of space for me - over 1GB. Thank you.